Inimai Chettiar is the director of the Brennan Center for Justice’s Justice Program, where she works to create an effective, rational and fair legal system. The program proposes and works to enact data-driven policy and legal reforms aimed at two main goals: ending mass incarceration and closing the justice gap for low-income Americans. 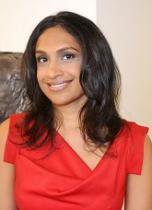 Chettiar has written for publications such as Huffington Post, The Atlantic and The New York Times, and has appeared on RT and Black Agenda Report Radio.